Guerlain Terracotta Bronzing Powder for Men is an elegant, masculine powder compact, which contains a bronzing powder designed specially for men: matte and natural. Guerlain Terracotta Bronzing Powder for Men is perfect for men who do not want anyone to discover their secret. 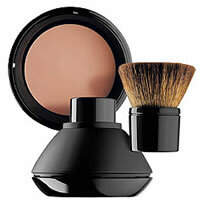 Guerlain Terracotta Bronzing Powder for Men gives an even, natural finish with a simple sweep of its brush.